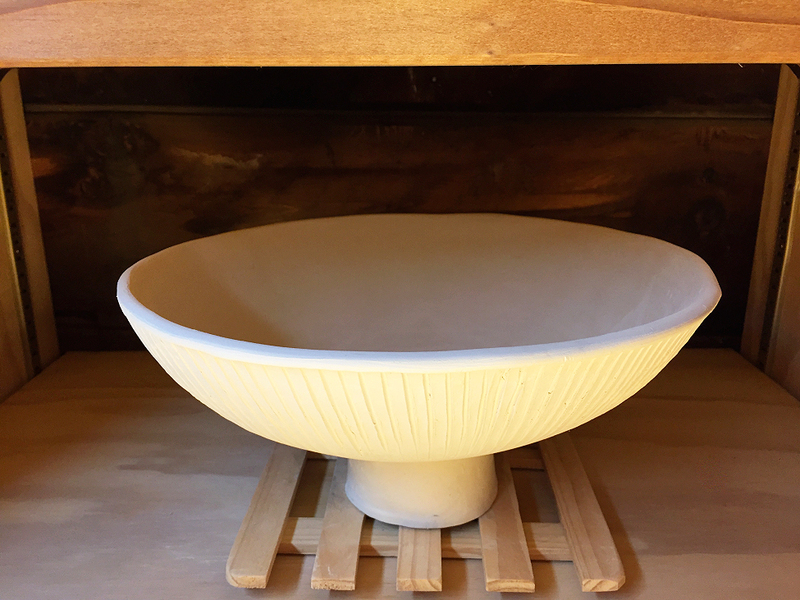 Summer 2016 marks the 4th year of my foray into pottery. 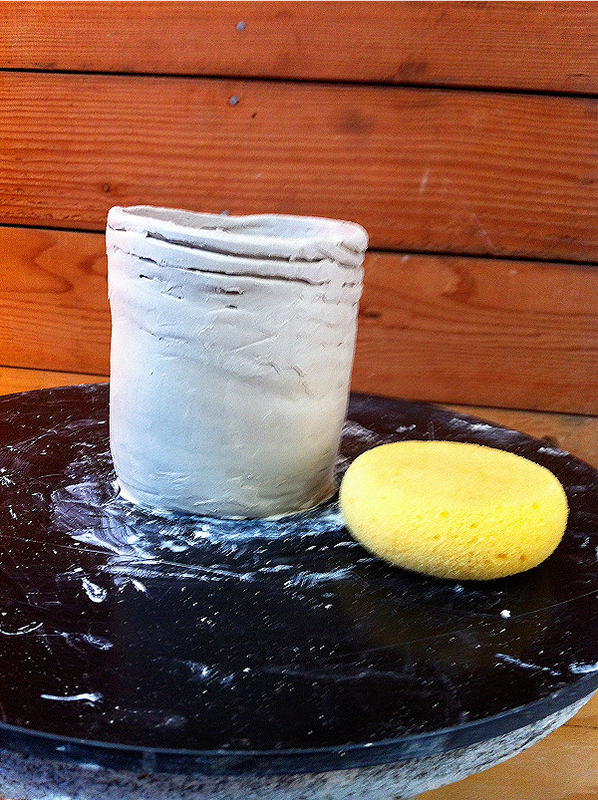 Here’s my first picture of the initial effort (June 2012). Along the way, there have been some disappointing results. 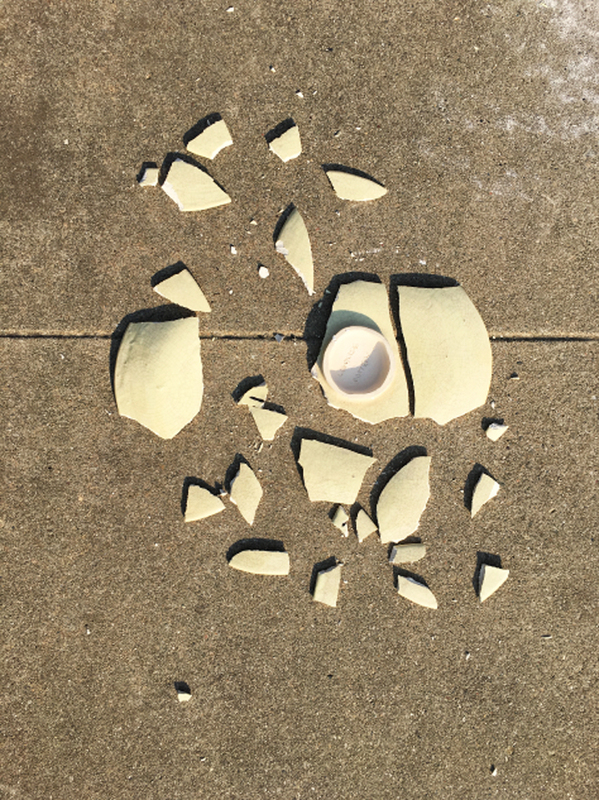 I was advised early-on to smash up anything that turned out sub-par — we don’t want future archeologists to dig up 21st Century crap and declare that we were really, really lousy potters. Below is a photo of my latest landfill contribution. It was disappointing to accept that all the hours spent on this piece had resulted in something that was just plain awful, but it feels good to know that I will never have have to look at it again, reminding me of my shortcomings as a ceramicist. On a brighter note, the fish dishes that I started in mid-June (1st set of photos) are now completed and I am happy with how they turned out — especially the lipstick red lips (2nd set of photos). 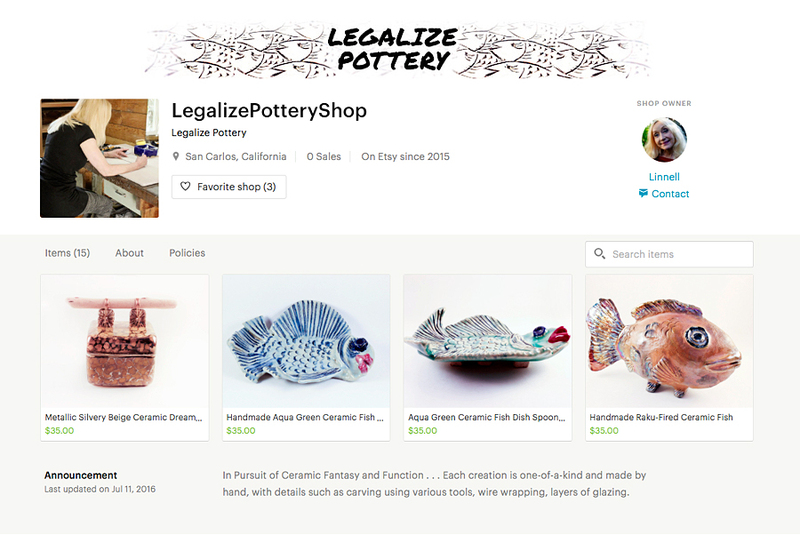 I also wanted to mention that lately I’ve been adding items to my Legalize Pottery Shop, on Etsy.com. It would take a miracle to sell anything via that outlet, due to the millions of offerings that I’m competing with. But I’m proud of my “storefront”, which is starting to look pretty decent.